The Armstrong Center for Hope (ACFH; https://armstrongcfh.com) is seeking a half- to full-time fully licensed psychologist (NC licensure) to provide assessment, treatment, consultation, and training to children, adolescents, couples, families, and/or groups. The ACFH, with its growing referral base, strives to cultivate an atmosphere of tranquility and transformation for clients, and space for practices of holistic wellness for associates, including regular opportunities for professional development and case consultation. Strong applicants will have some evening flexibility, experience with insurance panels, and a variety of clinical experiences across inpatient and outpatient settings. 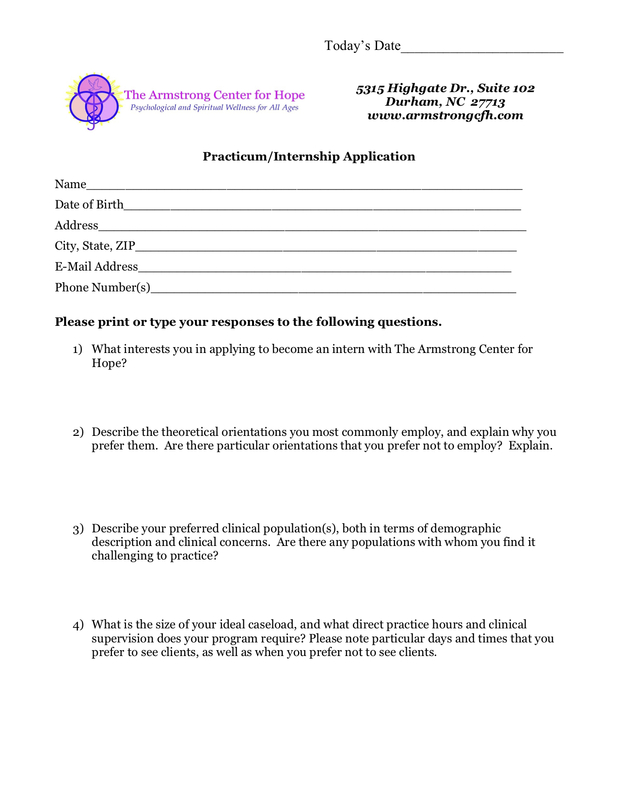 Specialization in the following areas is desirable: child, adolescent, and family psychotherapy; psychological and/or neuropsychological evaluations; experience with African-American and/or multicultural concerns; and experience or interest in the integration of faith/spirituality into psychotherapy. 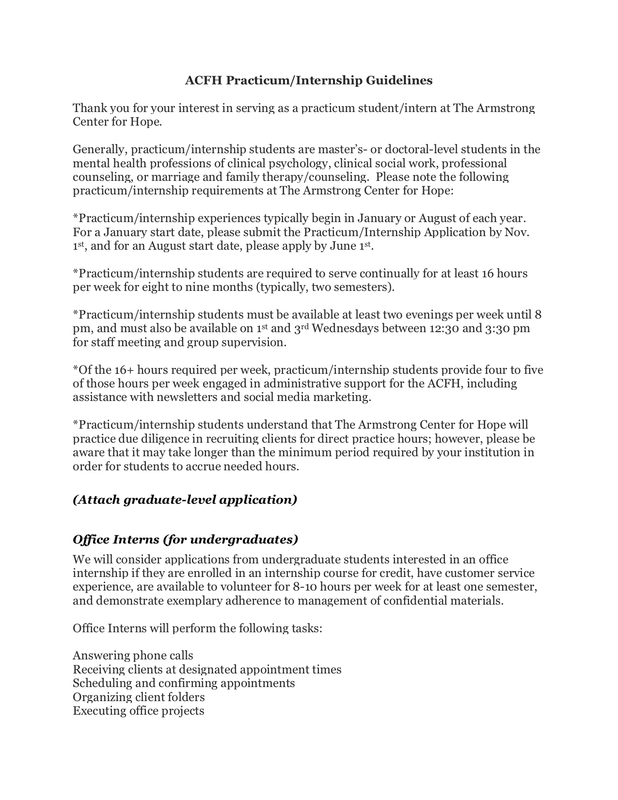 Applicants may direct a cover letter and CV to Tonya D. Armstrong, Ph.D., M.T.S., at tarmstrong@armstrongcfh.com. Please include “ACFH Psychologist” in the subject line. **Downloadable files of the policy and applications are below. Please click to download and complete to send to ACFH.